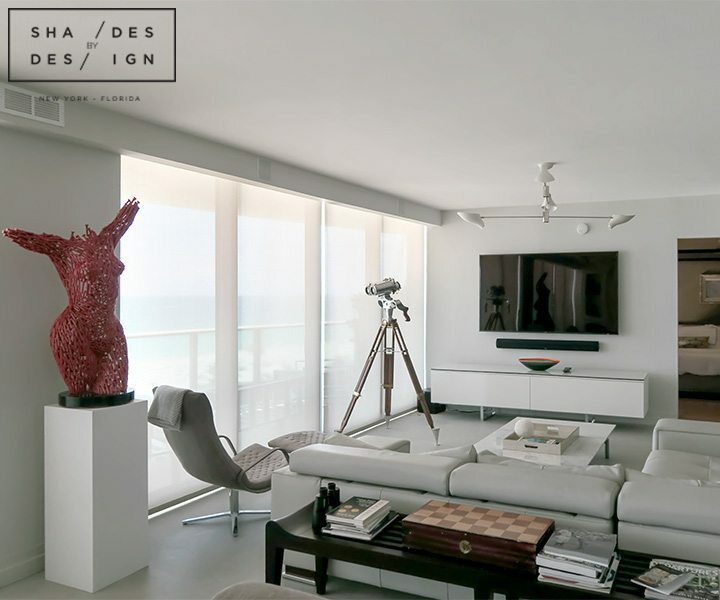 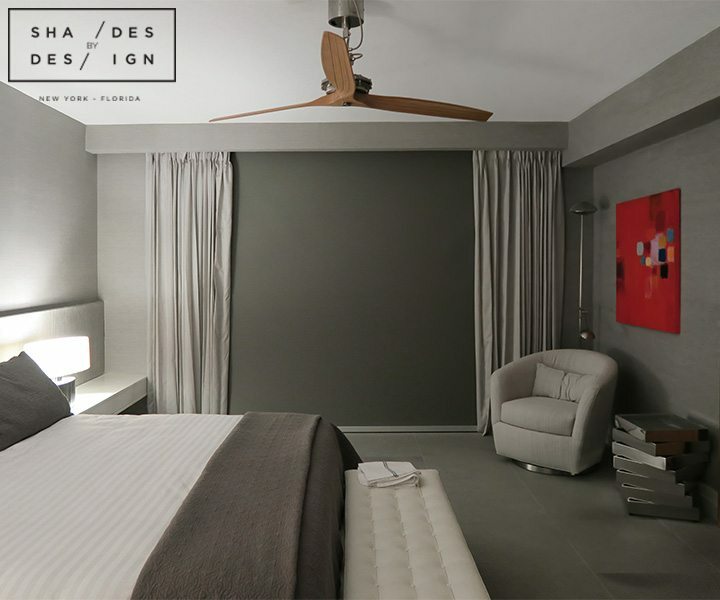 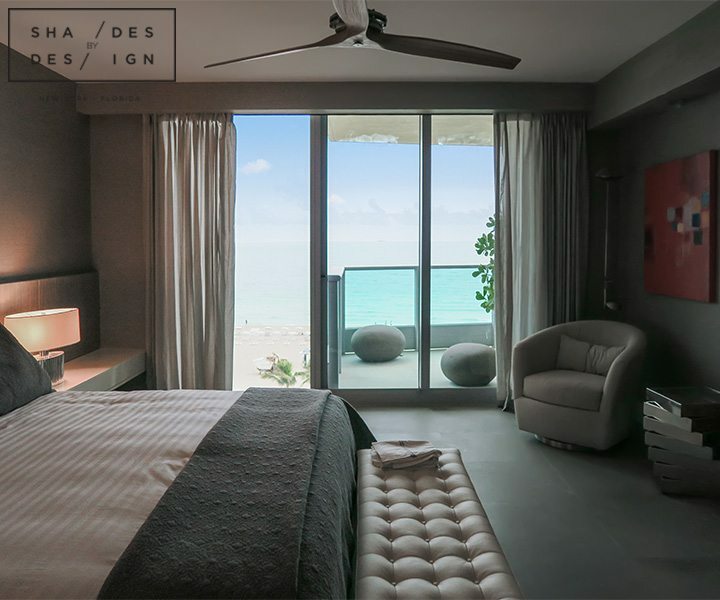 In this luxury ocean view condo in Miami Beach, our team was contacted to design window treatments for the living area and bedrooms that can help protect the client’s artwork and furniture from harsh UV rays, as well as limiting heat during the day. 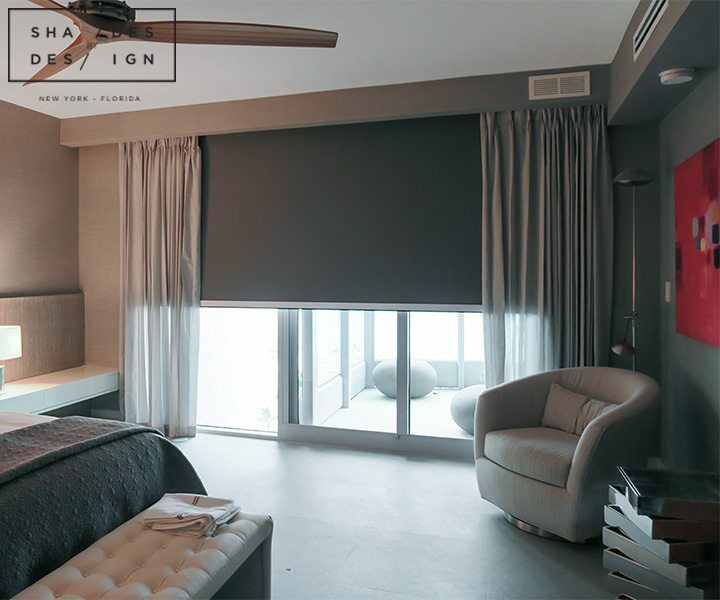 For the Master bedroom, we installed motorized zipper guided (ZBOX) blackout roller shades with recessed curtains to added elegance. 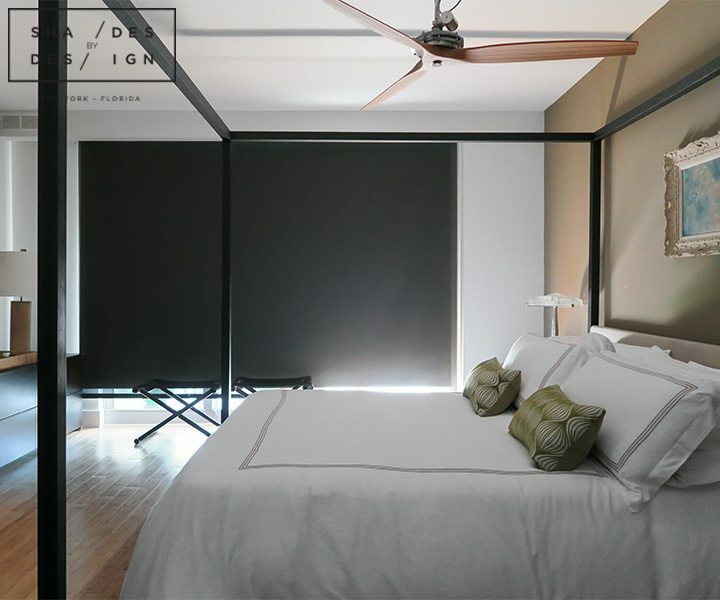 The second bedroom received motorized blackout shades while the living room was given screen shades. 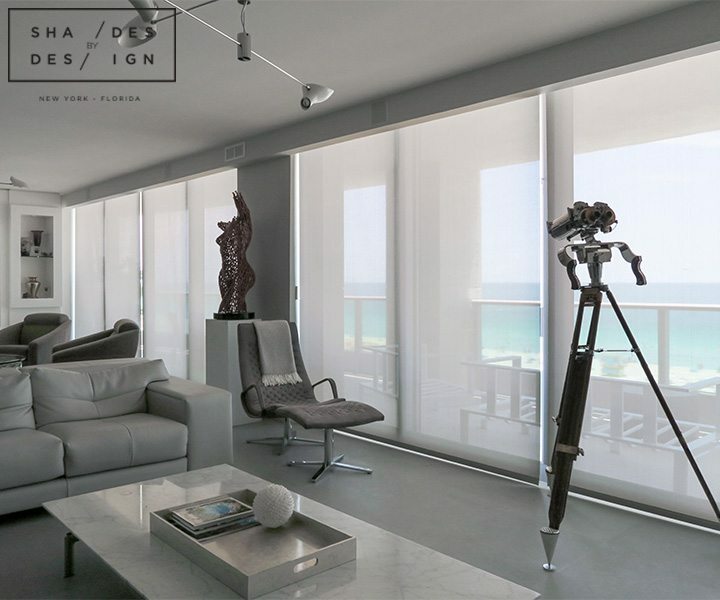 All treatments are motorized via wireless SOMFY motors and can be controlled via handheld remote.